The Grace Museum offers five unique rental spaces to accommodate a wide variety of events from parties and weddings to school functions to a unique setting for your next business meeting. We can host large and small groups for occasions from the formal to the informal. 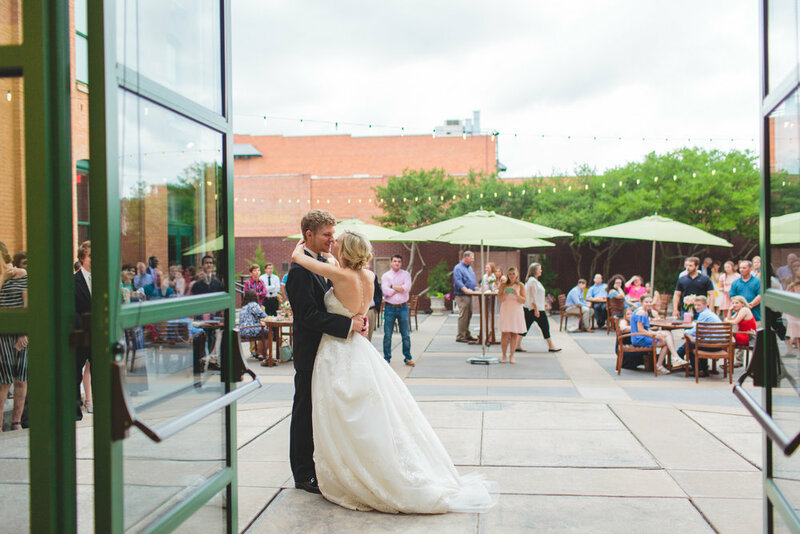 The Grace is the perfect venue with vintage charm and historic appeal, centrally located in downtown Abilene. Rentals are available seven days a week, Monday-Sunday. A security deposit is required in order to confirm all reservations (see details below). Additional equipment, technology, and services are available to meet the needs of your specific event. Professional setup and breakdown of tables and chairs for your event according to your individualized event floor plan. Kitchen that includes a food warmer, several refrigerators, and ice machine. Recently-remodeled Brides Room with amenities, the perfect setting for your bridal photos! State-of-the-art audio/visual equipment that includes a QSC sound system, projectors and screens, and much more! Two mobile event bars for easy beverage service at your event. Accent lighting to enhance your event. Free parking with handicap-accessible options for your attendees. Director of Events Sheila Richardson. Host your event with style in one - or all - of our unique venues. From formal to casual, we have the right space for you! These rates include access to all special amenities offered by the Museum, as well as usage of your rental space the day before (1 pm – 7 pm) and the day of (10 am – 12 midnight) your event. Accent lighting is provided in the Historic Ballroom, Courtyard, and Rooftop Terrace and may be utilized at no additional cost. Ballroom lighting includes uplights positioned by the columns on the south, north and west walls. Courtyard lighting and Rooftop Terrace lighting includes clear white strung lights (permanently installed). Reservations for the Historic Ballroom, Courtyard, Loggia, and Rooftop Terrace require a $200 refundable security deposit. * Sunday rentals 10 am - 10 pm available at a special discounted rate! Call for details. The Rock 'n' Roll Diner is a unique space on the Museum’s second floor – perfect for smaller groups, birthday parties, and showers! The diner is available to rent on Saturdays only from 10 am to 5 pm in 2-hour rental slots (1 ½ hour event time + 30 min setup time). Reservations for the Rock ‘n’ Roll Diner require a $100 non-refundable security deposit. For more information or to book your event, please contact Kaylee Jones. Book our new DIY venue for your next event! Exclusively Do-It-Yourself (DIY) . . . show off your style! For more information or to book your event, please contact Sheila Richardson.